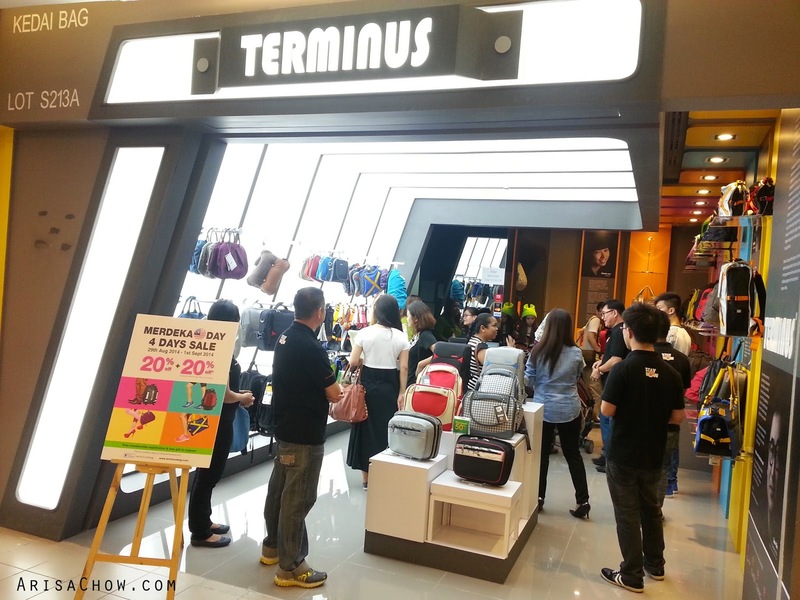 Terminus bags are finally available in their very first physical store down in 1 Utama (near SushiQ), very proud to introduce this local brand that has won the hearts of both local and international with their innovative designs. Each their bags are carefully designed and each compartment has it's own purpose, making it not only trendy but also functional at the same time. I myself as a designer wouldn't put something there if it has no purpose lol even though it looks 'nice'. Had the honour of meeting the founder of Terminus and getting to discuss about the brand in detailed. He is demonstrating one of their latest designs- The New Invisible Urban Roller. This bag can work as a roller bag and a bag pack, the wheels are retractable making it look like it's a normal bag pack instead of a roller bag. Totally mind blown with this design. As our country continues to step up it's game in the designing industry, Terminus plays an important role into giving a chance to our talented local designers to showcase their designs in the market. 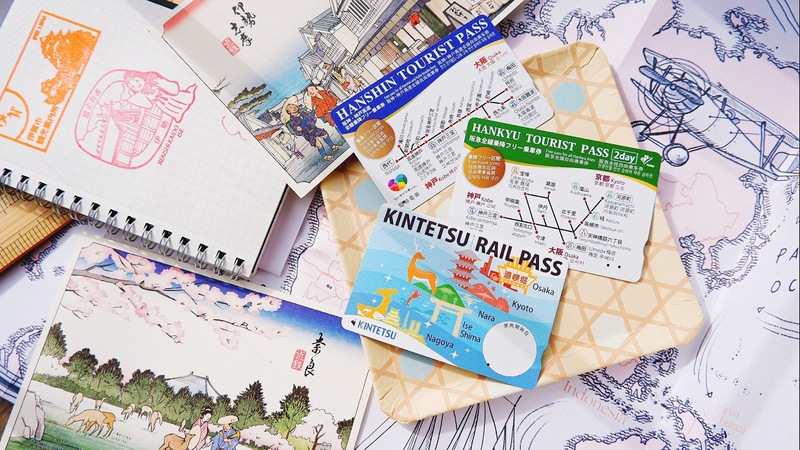 Their designs are inspired by daily routines, challenges, combined with ideas all around the world into creating an ideal design that caters to all our needs. The company is no stranger in the industry as they have a background history of 20 years in bag making, so quality is definitely on their check-list. Suitable for any kind of lifestyle, age range and even profession! Be it a student, mother/ father, model, businessman or sportsman, Terminus has it all. I also believe that bags shouldn't just be an accessory that doesn't contribute for any purposes, which is rather ironic coming from a fashion designer like me lol. It also shouldn't be something dull as it is considered like a second skin next to your clothes (anyway they complement each other). 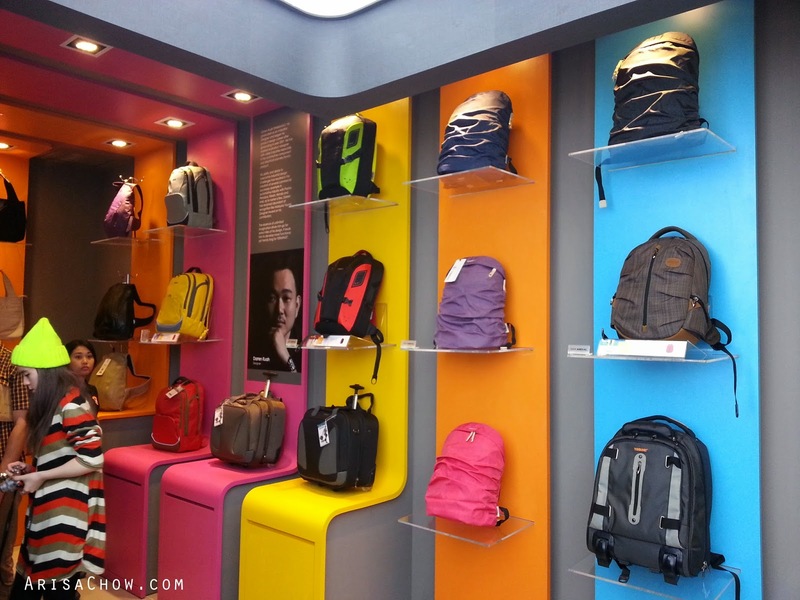 That is why i find the bag designs in Terminus is exactly what we all need in our daily life, also not to mention that their bags have won awards both local and international for their very own original designs. Really, this isn't your ordinary bag. If i had the cash with me, I would have bought a few bags that day itself especially this amazing 'Transformer' series. 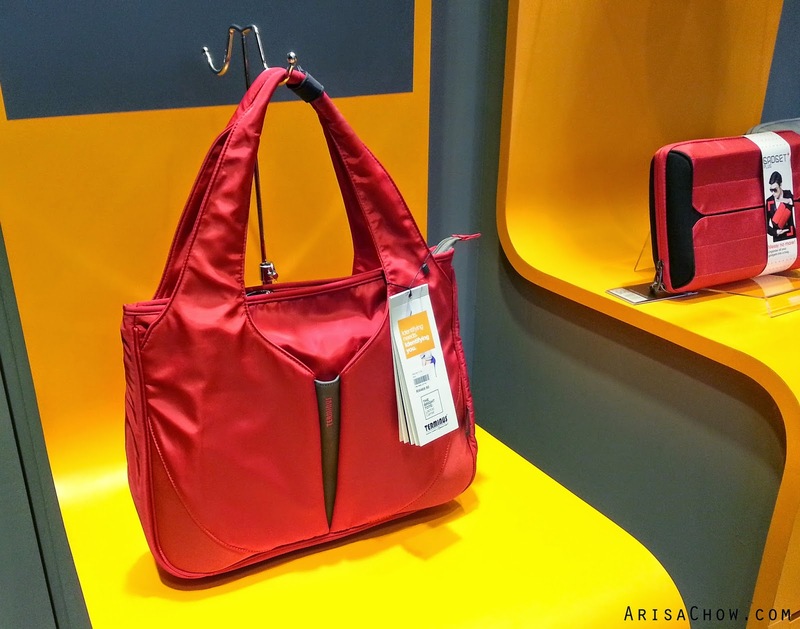 The name of this bag really says it all, comes with spacious compartments enough to carry 5 days worth of clothes and also inclusive of bag organizers (clothes, toiletries.. etc) inside. 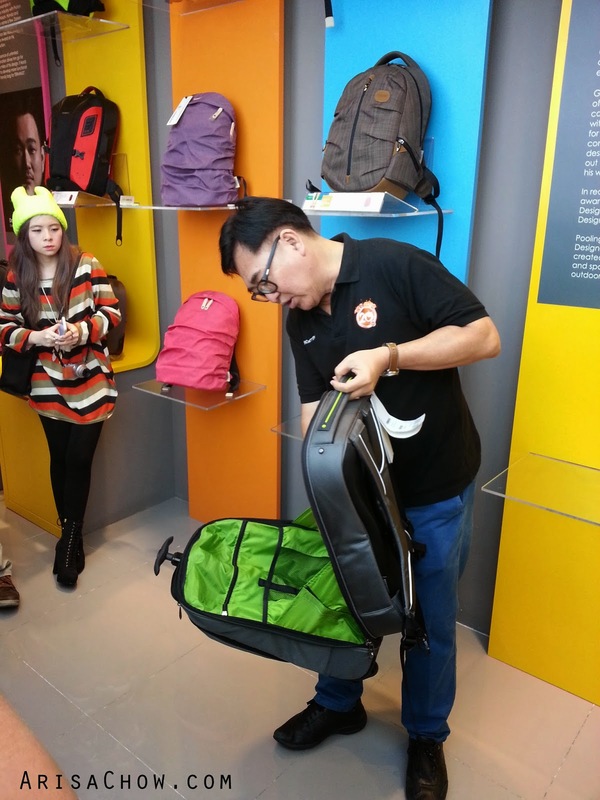 Can fit your documents, laptop with multiple compartments to easily access your passport/ boarding passes. 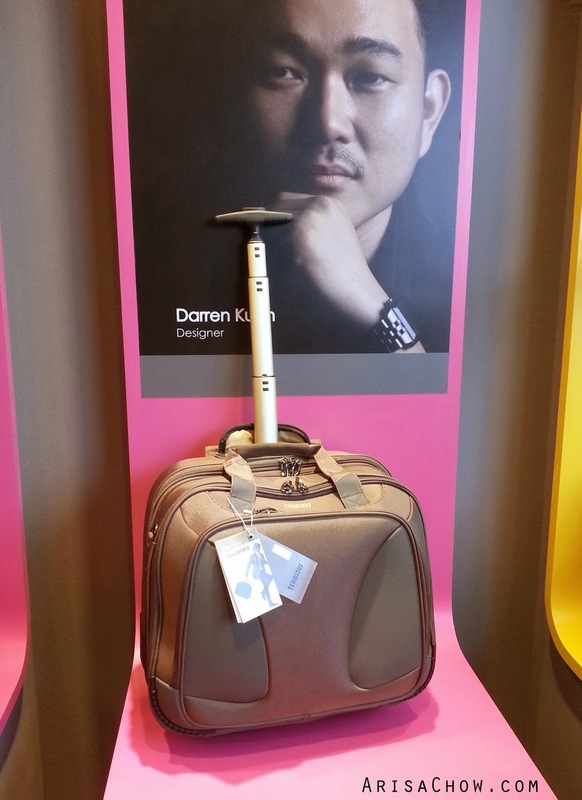 Don't need to go through the hassle of checking-in as the size can be brought on board as a hand carry luggage . You might not see it now from this picture but the front padded laptop bag can be detached and reattach back with just a zipper like those jackets. So it's basically a 2-1 bag, a total lifesaver if i were to attend cosplay events! 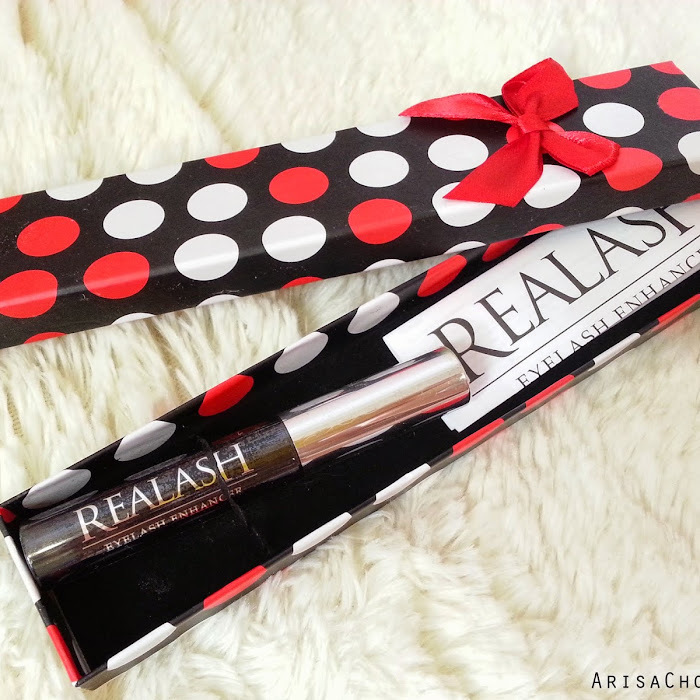 Someone please buy me this :-P lololol/ shameless. Doesn't look like a fancy tote but wait till you see what's inside. Comes with lights, so ladies who constantly have trouble searching for their stuff would love this, also makes it so convenient in dark places like carparks. Powered by 2 ordinary AA batteries, that can last up to a year as the light consumption is not much. 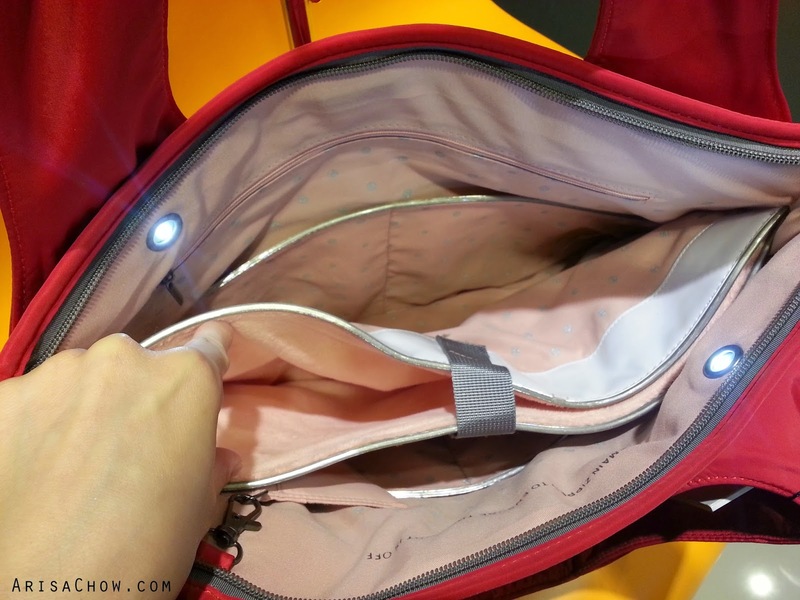 Not sure what you call this mechanism but every time you zip your bag, the lights go off and when you unzip it goes on lol reminds me of a musical box where the music stops/ plays when the cover is open/close. Terminus is always opened to new and fresh ideas to improve, so if you have any ideas you would like to submit or discuss with them feel free to contact them. Who knows you might the next upcoming designer of your very own bag.